On a broad scale, the purpose of land use planning is to build complete communities with the social and physical infrastructure needed to support overall citizen health. More narrowly, planning regulates the siting and sizing of structures and land uses in order to achieve the larger goals of the community. Planning is aimed at building resilient, cohesive communities, while supporting the rights of landowners to mutual enjoyment of their properties. A Zoning By-law is a land use planning tool that regulates land uses within the Township. The current Zoning By-law was adopted by Township Council in 2015, and has had a number of housekeeping and site specific amendments since that time. The Zoning By-law sets out a number of general provisions and also establishes a series of zone categories that regulate permitted uses and site and building regulations. The Zoning By-law works to ensure mutual enjoyment of private property and to implement the land use vision of the County of Grey Official Plan. The Committee of Adjustment has a mandate to act as a quasi judicial body and hear applications for “Minor Variances” and “Consents”. A minor variance is a tool that can be used by landowners when the requirements of the Zoning By-law cannot be met for one reason or another. These reasons are an important part of what staff and Committee think about when reviewing an application. Minor variances are reviewed and decided upon by the Committee of Adjustment, a Committee appointed by Council for this purpose. An application may be approved, approved with conditions, or denied. Ultimately, all decisions are at the discretion of the Committee. That the variance is desirable for the appropriate development and use of the lands. Each minor variance is considered on a site-by-site basis, and every application is unique. The process for a simple minor variance application typically take two to three months. This process includes a 20-day appeal period, which begins after the decision of Committee has been made. Like other Planning Act applications, minor variance decisions can be appealed to the Local Planning Appeal Tribunal. Consents are reviewed and decided upon by the Committee of Adjustment.  In the Township of Chatsworth, all of Council sits as the Committee. An application may be approved, approved with conditions, or denied. Ultimately, all decisions are at the discretion of the Committee. Each consent application (severance or lot line adjustment) is considered on a site-by-site basis, and every application is unique. The application and approvals process for a straightforward consent application typically take two to three months. This process includes a 20-day appeal period, which begins after notice of Committee’s decision has been given. Like other Planning Act applications, consent decisions can be appealed to the Ontario Municipal Board. If an application is approved, the applicant has one year to fulfill any conditions imposed by Committee.